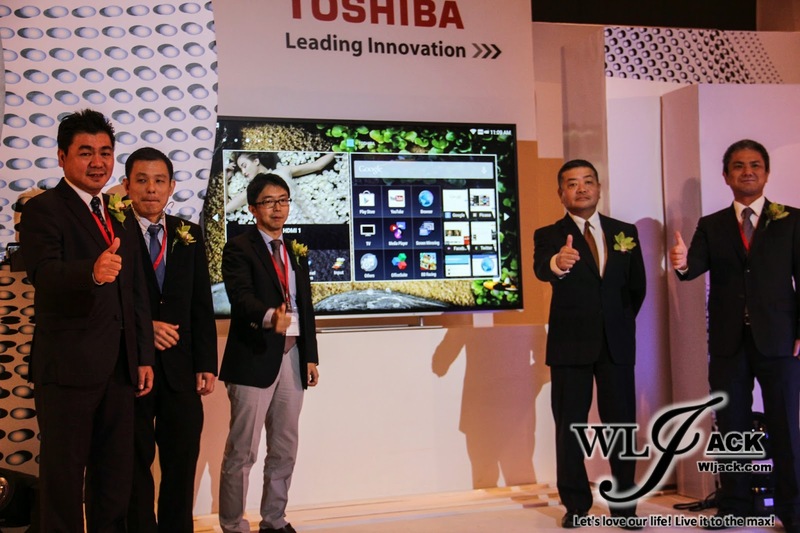 Kuala Lumpur, October 2014 – TOSHIBA Launching of New Products have taken place a few days ago at Genting International Convention Centre (GICC), Genting Highlands. I felt very fortunate to be able to take part in this event as I get to witness the launch of new Toshiba products with new technology that are very impressive! Early morning that day, all of the invited bloggers have assembled at Menara AmFirst Lobby (ADK Office). I get to know a few new blogger friends during that morning itself. After all of us have gathered there, we have taken a bus up to Genting Highlands. 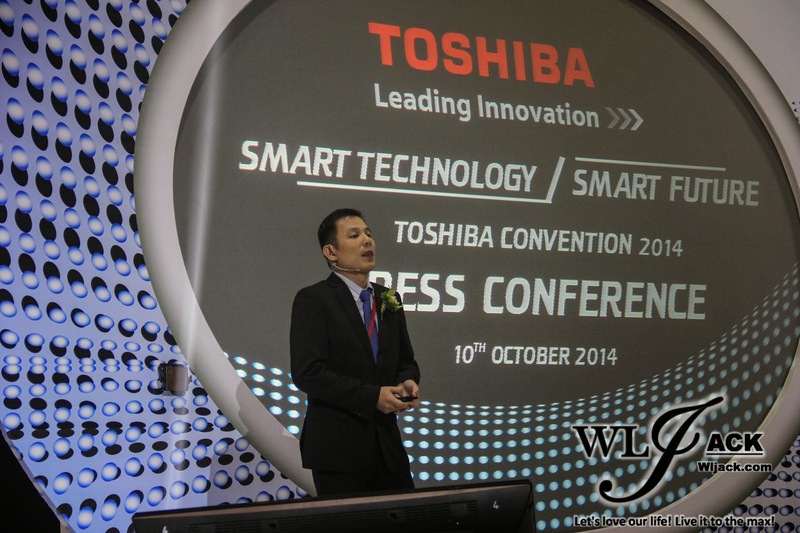 TOSHIBA Welcoming Address By Emcee! Speech by Managing Director! As the event started, the emcee has delivered a welcoming speech to all of the media members as well as bloggers who have attended the event. 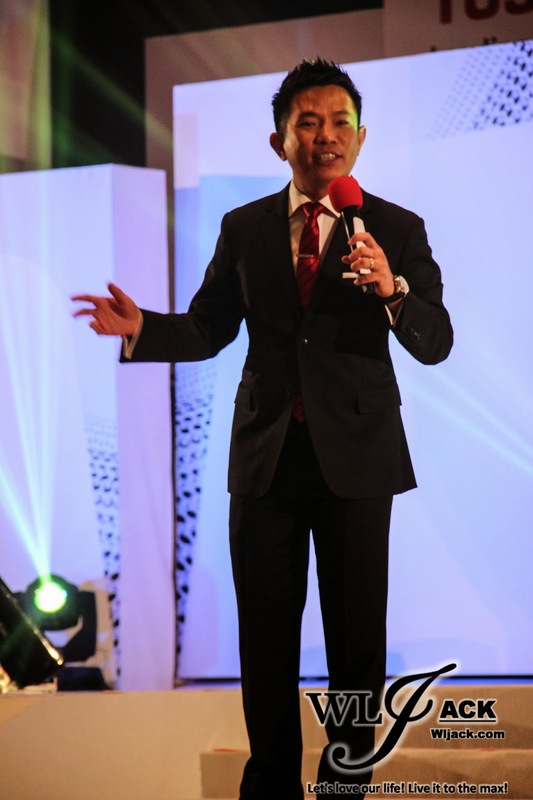 It was then proceeded by the speech from Managing Director of TOSHIBA Sales & Services Sdn Bhd, Mr Hitoshi Kitayama. During the speech by Mr.Hitoshi Katayama, he has shared with us regarding the latest product to be launched by Toshiba this time around. 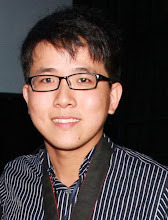 “We intend to focus on much more and penetrate the Large Screen and Smart TV markets by leveraging on the benefits of the Android Operating System which is featured in our Large Tvs. We intend to launch more premium models very soon as well.” – said Mr Hitoshi Katayama as he present us the very latest products in the Audio Visual and Home Appliance from TOSHIBA. 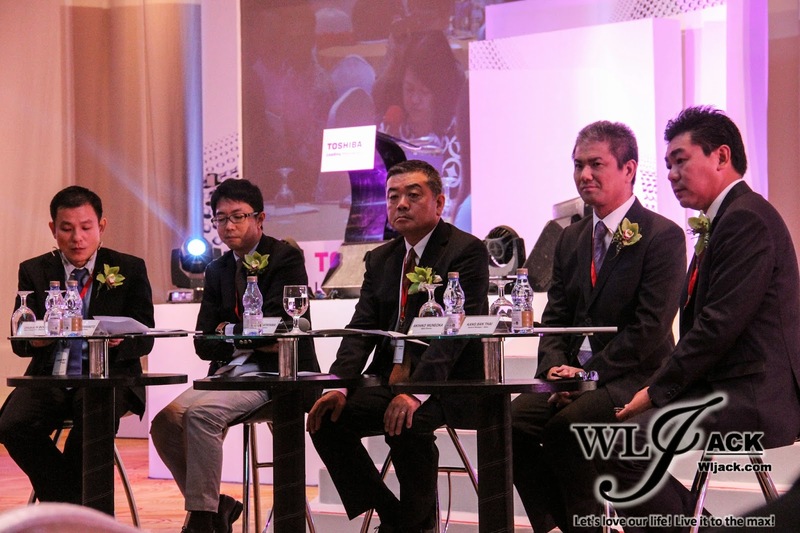 Product Launch By Mr.Hitoshi Kitayama! After Mr. Hitoshi’s speech, there was the launching ceremony for their latest product whereby he pressed on a sphere on a platform and the new products were revealed. TOSHIBA aims to offer consumers a whole range of modern and exciting Audio Visual (AV) and Home Appliances (HA) that makes a home with all the modern conveniences and comforts that everyone would desire. 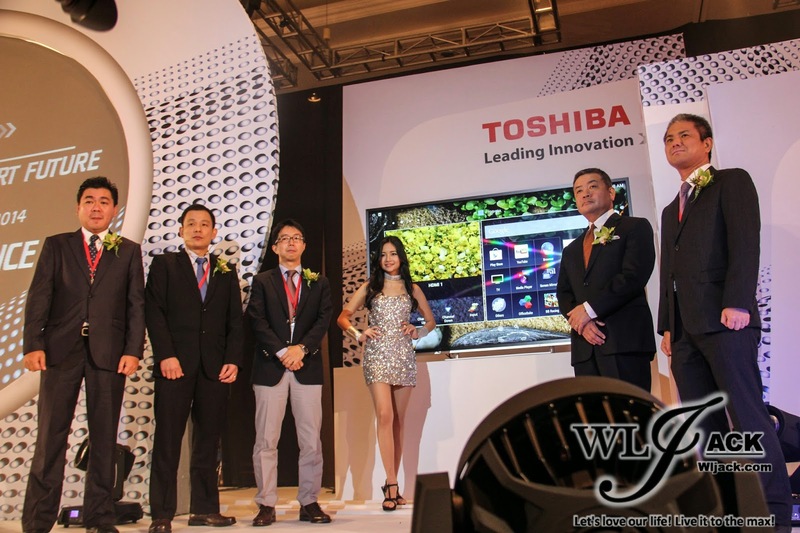 Besides of tackling a smarter lifestyle, TOSHIBA is also including ecological and environmental aspects, energy saving innovations, practical product refinements, user-friendly options to ease the consumers in using their product. For this year, Toshiba is introducing the new Big Screen Pro Theatre line-up, comprising the Ultra HD L94 Series up to 84 inches, The Adroid L54 Series up to 55 inches and the basic L24 Series which showcases TV Models up to 55 inches. 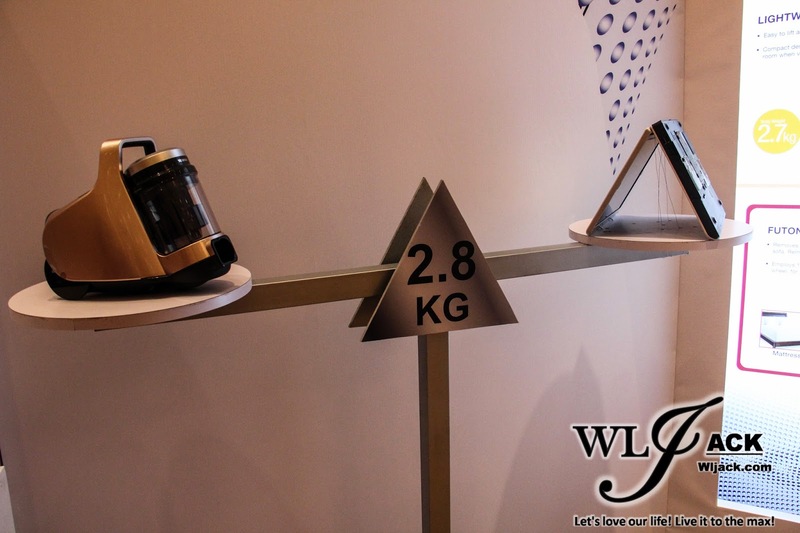 For the House Appliances Segment, their products are eco-friendly, energy-saving with Inverter Technology and feature truly modern & stylish designs. The inverter technology is the main highlights for all of these products as it can help the consumer saves a lot of energy usage. Product Presentation by Mr.Chua Ah Boon! 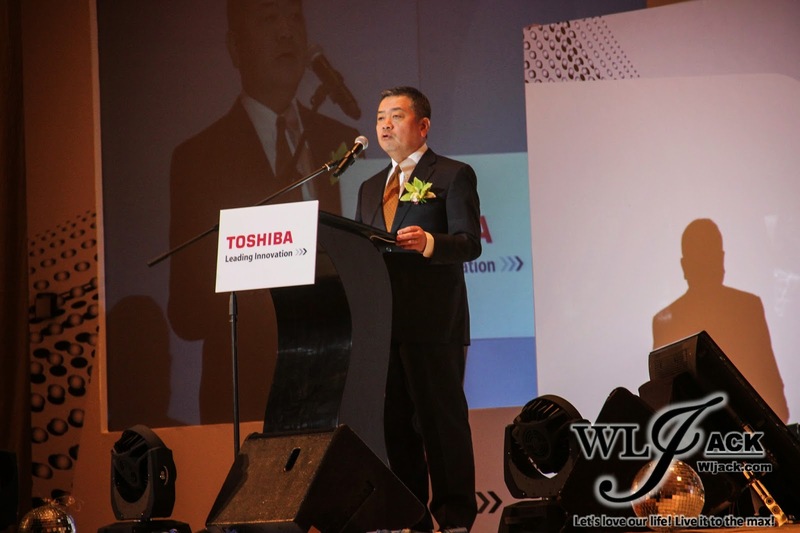 Besides the speech by Mr Hitoshi, General Manager (Marketing) of TOSHIBA Sales & Services Sdn Bhd also shared with us more regarding the products via his solid presentation which consists of youtuber videos, products images as well as LIVE Demo. To be honest, the presentation itself was already very convincing for me and I am really eager to buy some of the products. 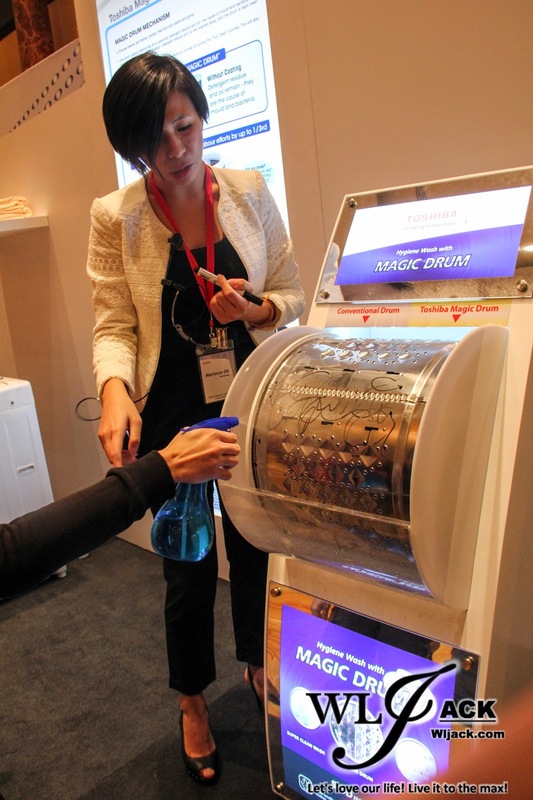 One thing which caught my attention was the Magic Drum S-DD Inverter Washing Machine. This new Washing Machine has a MAGIC DRUM that is able to repel dirt and grime effectively as it comes with a dirt-proof coating. It can ensure a cleaner, fresher and safer clothes. How does it work in giving us a safer clothes? After every wash cycle, dirt, soil and grease residue will usually remain behind the drum of the usual washing machine. These residues would be a good habitat for accumulation of mould and bacteria! However, with this Magic Drum, the residue will not stick to the drum due to its dirt-proofing coating! Magical isn’t it? I would be starting my work in Hospital soon, so this washing machine would be the solution for me to clean my clothes from microbes more effectively. 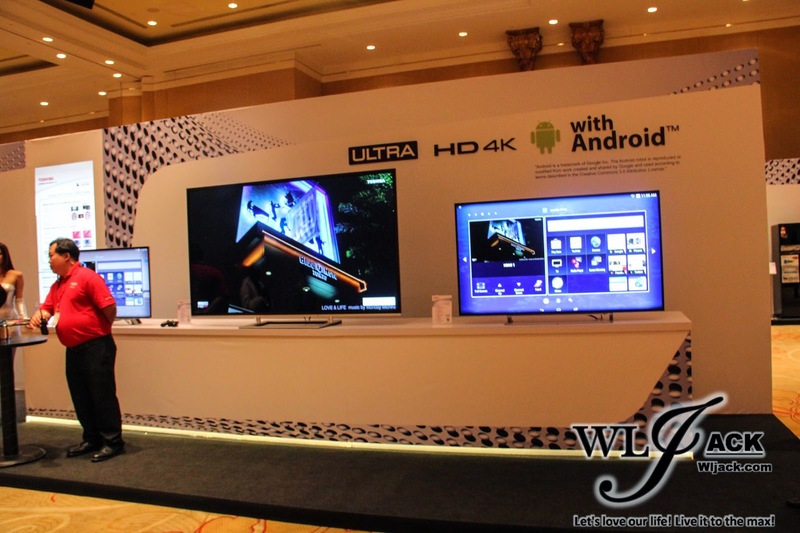 Of course, the LIVE DEMO of the usage of TOSHIBA LED TVs was impressive as well. They have shown us how magnificent the TV is in producing sharp images, high definition and great resolution streaming of contents (including Youtube HD videos) as well as showing us how the Android system function on such marvelous TV! They have shown us how TV experience was like never before during this part of the event. It was also evidenced by the youtubers’ videos above on how great these new TOSHIBA’s TVs are. 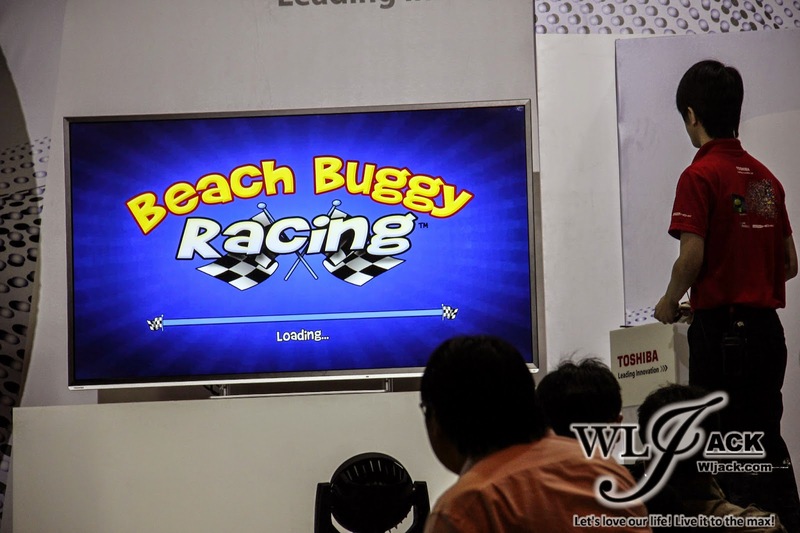 In fact, we can even play games using a controller with the Android operated TV! After the presentation, there were a short Q&A session whereby the media members and bloggers can ask TOSHIBA’s side regarding their upcoming products. They mentioned that Android Operating System was something which most consumers nowadays were familiar with. Thus, infusing it into their latest TV would be something that can be easily accepted by the consumers. In fact, it has one of the latest Android version installed which is the Android KitKat! Besides the Magic Drum mentioned above, there were also many new series of home appliances that come along with Inverter system that can help in energy-saving. These products include Vacuum Cleaner, Air Conditioner and etc. 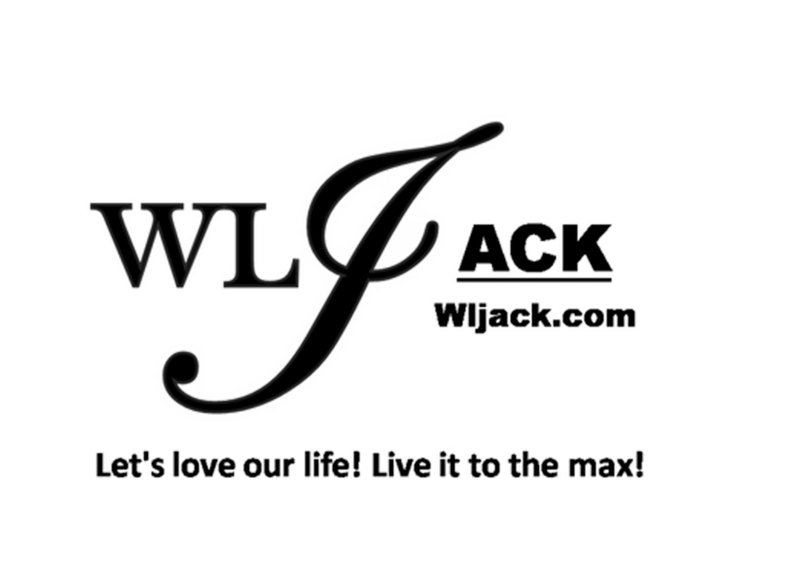 Product Tour! Up-Close Viewing Of The New Products! Well, besides the spectacular presentation as well as the Q&A session, TOSHIBA has further convinced us with their new lines of product by giving us a product tour which was very systematic. Each of us were given with a walkie-talkie and there were a few stations which we have visited one by one. The staffs will then explain to us regarding their new products. 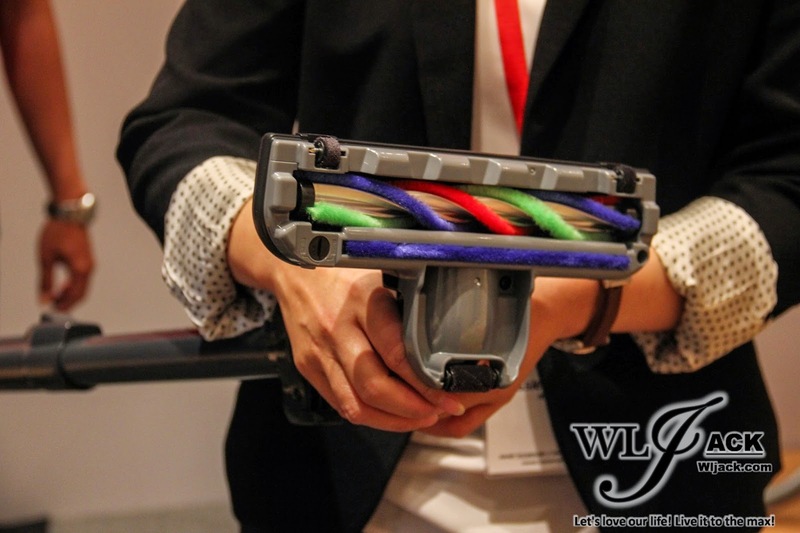 We also get to test out and have clearer up-close view on some of the new products too! Yeah, the TV has amazing resolutions which is four times the resolution of Full HD Tvs! Toshiba’s Ultra HD 4K TV combined with a wider colour gamut Ultra HD 4k panel and third-generation CEVO 4K Engine, we can get a breath-taking 3840 x 2160 pixels with amazing picture quality! 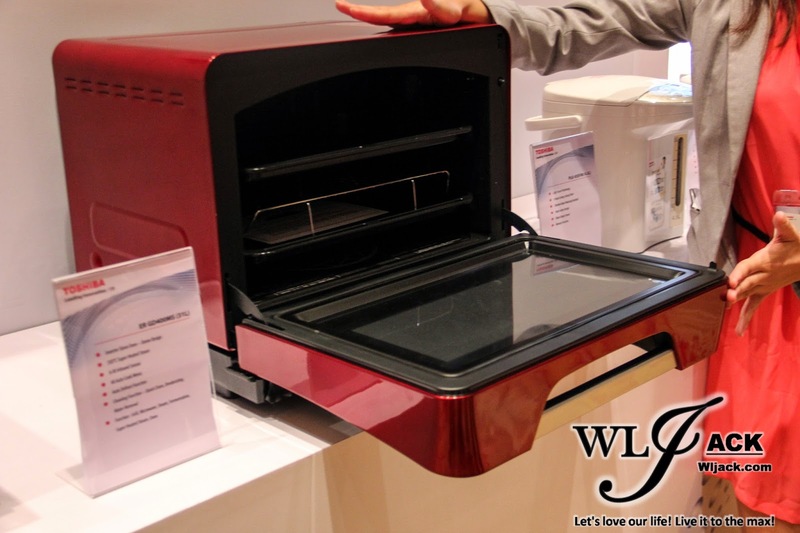 We also get to look at the Toshiba’s New Premium Eco Touch Inverter Air-Conditioner! The Toshiba’s DC Hybrid Inverter System features a compressor that provides superior control and cost efficiency when compared to AC Fixed Cooling Compressors. Its Super-Accurate Rotation of an environmentally sustainable compressor can result in power savings up to 50% and quieter operation. The Toshiba Premium Eco Touch air-conditioner also comes along with a self-cleaning function that can reduce the humidity that causes formation of mould inside the air-con unit. Thus, it can produce a cleaner and purer air for us to breathe in! Apart for that, we also get to look at the Toshiba’s New Stylish, Premium Multi-Door G-Series Inverter Refrigerator With A Handy Middle Vegetable Compartment. Besides, it also has a Cooling System and PICOION technology which can help to preserve the taste and freshness of our food. 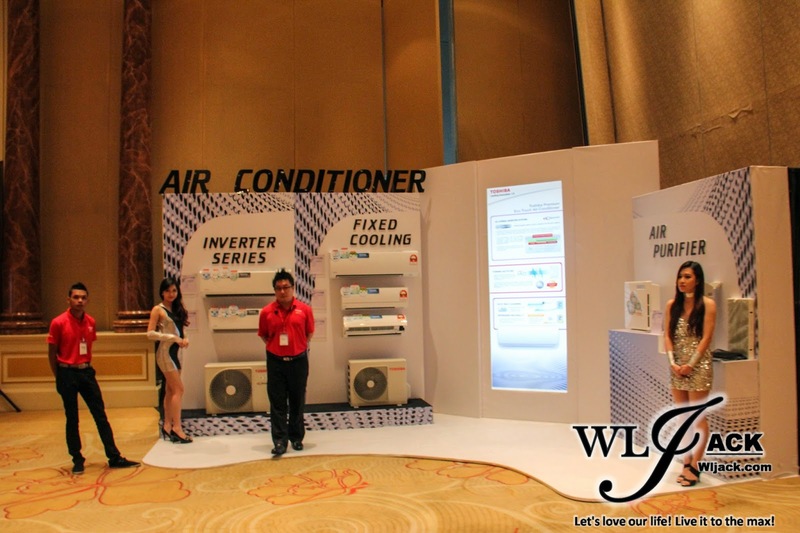 And yeah, it is also a product with energy savings feature with the presence of Vacuum Insulation Panel (VIP). And here we go, a station for us to test out the MAGIC DRUM! It was really amazing! One of us, the bloggers have written on the drum with permanent marker pen. The side of the drum with the permanent ink could not be cleaned off. However, the side with dirt-proof coating was able to be cleaned easily with just a sprinkle of water! It was really MAGICAL! There are also other varieties of items displayed during the product tour. Another appliance that has caught my attention is the TOSHIBA’s New Torneo Vacuum Cleaner! It has a very light weight and comes along with ultra-hygienic cleaning performance! It is only 2.8kg and it’s almost the same weight as a laptop. It also has a breakthrough Dual Tornado System and ultra-hygienic Futon Brush. With its user-friendly, fatigue-free hand switch as well as the powerful system, vacuuming is now be a breeze! Lucky Draw Session! One of our blogger won the TV! Besides the interesting tour, the organizer was also thoughtful enough to have a lucky draw for all of the attendees! 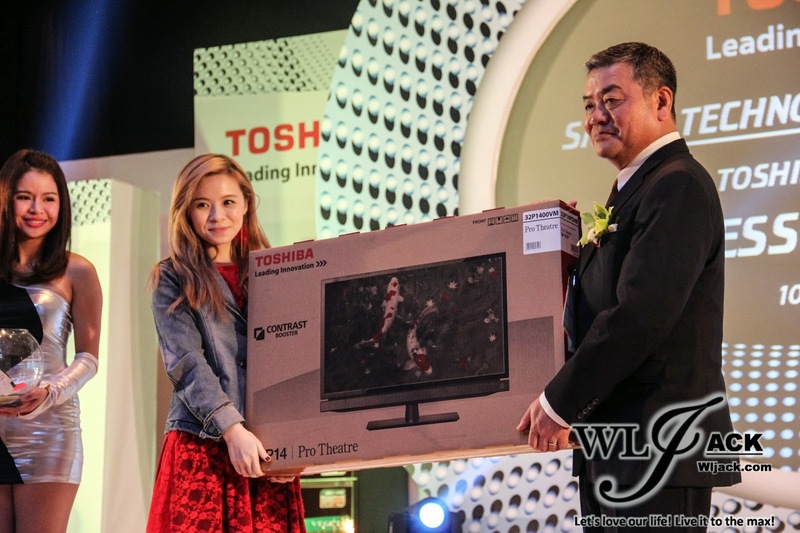 There were three Toshiba TV given away. One of the lucky winners was our Nuffnang blogger, JQ! Congrats, you lucky girl! After all of these, we took a photo of us, bloggers who have attended the event and then departed back to Menara AmFirst! 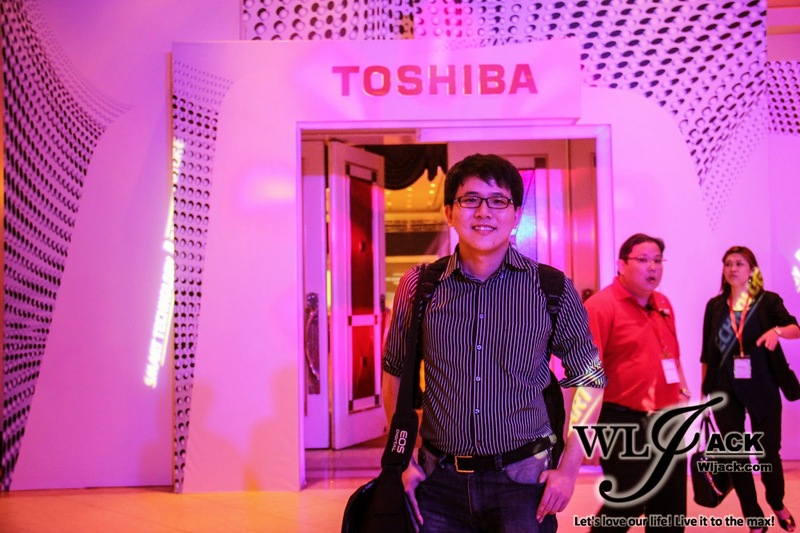 It was a really pleasant event whereby I get to know more regarding the enthralling lineups of products by TOSHIBA! Million thanks to Nuffnang for inviting me to the event!